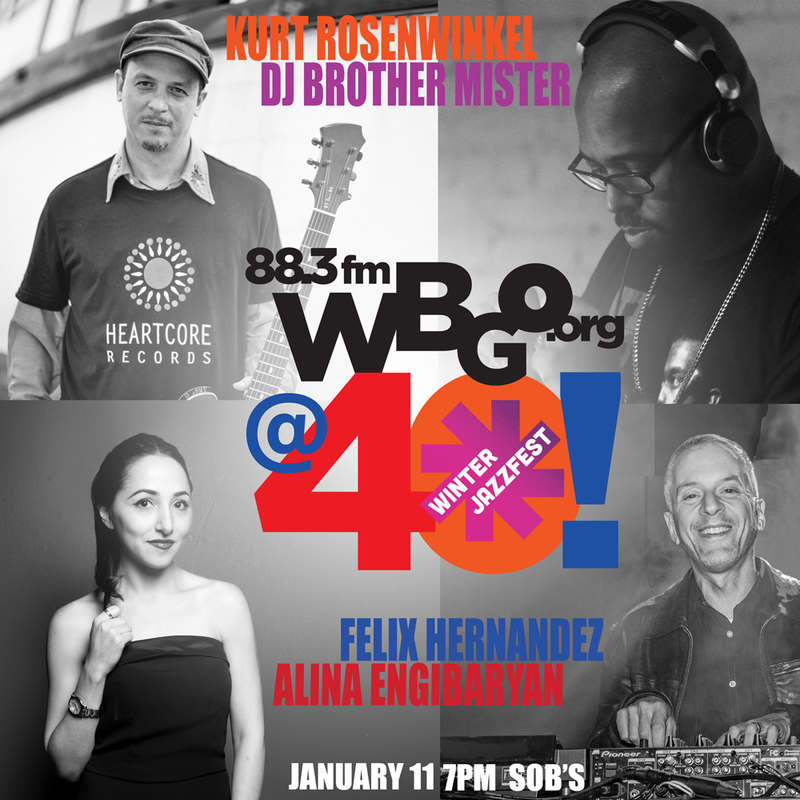 WBGO celebrates four decades of jazz and its magnificent diversity on one night, Friday, January 11th, at SOB’s during Winter Jazzfest in New York City. Newark Public Radio kicks off our 40th anniversary season with a multi-faceted concert that champions the broad spectrum of jazz we bring to our worldwide community on daily basis on 88.3fm and WBGO.org. The night begins at with WBGO’s host of the Rhythm Revue, Felix Hernandez, throwing down an electric R&B dance party as heard on his popular Saturday morning radio show. Next, we shine a light on a new voice – a soulful pianist and singer/songwriter from Russia, Alina Engibaryan. Then, one of the preeminent guitar voices of his generation and American expatriate, Kurt Rosenwinkel, returns to the East Coast for a rare performance with his quartet. Jazz Night In America’s host Christian McBride brings his party alter-ego, DJ Brother Mister, to the stage and invites others to join him for a funky jam session. The party kicks off at 7pm. Winter Jazz Fest Friday night and full marathon badges will be honored, plus WBGO's audience can get a 50% discount on tickets good for this show only. Discounted tickets are limited, so don't delay.